Fall weather is slowly but surely starting to seep across the country and we’re even starting to feel a touch of it here in warmer states. It’s not so cold that leaves are falling from the trees like the east coast, and we’re not ready to break out the Uggs like the midwest – but it’s chilly enough that my bones are feeling it in the morning. I can’t say I necessarily like the cold but I do love the excuse to cuddle up with my fluffiest hand crocheted blanket and sip away at a cup of hot tea. What is it about a cup of hot tea that instantly makes me feel more zen? Like I’m being incredibly productive while not doing anything at all. Not to mention tea has so many health benefits it makes me feel like I’m being healthy too! There are four major types of tea: black, green, white and oolong. However, they all come from the same plant. The differences lie in how the leaves are treated. Legend has it that in 2737 BC, Shen Nung, the second emperor of China, discovered tea when leaves blew into his pot of boiling water. After water, tea is the second most consumed drink in the world. China is still the biggest producer of tea and supplies nearly 29 percent of the world’s total, with India coming in a close second. Tea isn’t just for drinking. It’s known to heal wounds, remove odors, used as fertilizer, and even a marinade. 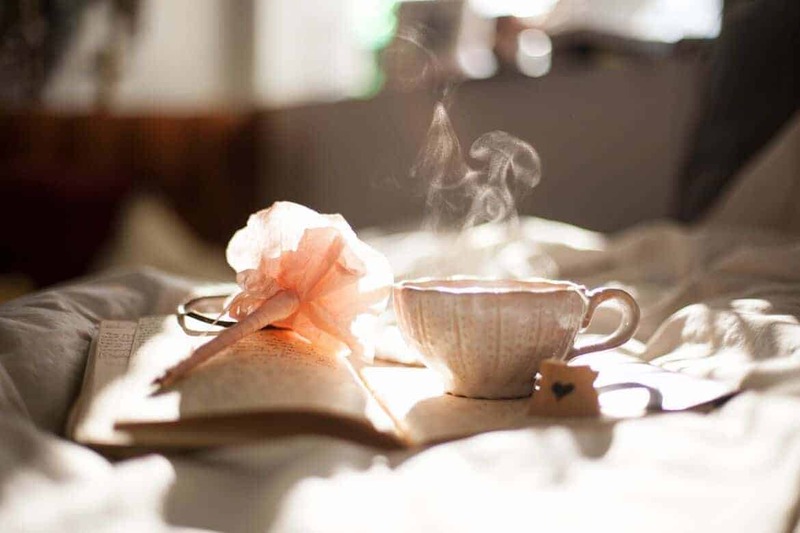 For nearly 3,000 years tea was used only for medicinal purposes until it became an everyday drink. The most expensive tea meal to date can be found in the Ritz Carlton of Hong Kong that goes with a hefty tag price of $8,888 per pair. Tea bags and iced tea are both invented in the United States in 1904. The tea bag was accidentally invented by Thomas Sullivan when he used silk bags to deliver his tea but failed to inform customers to take the tea out of the bags. The most popular type of tea is black tea. It makes up about 75% of the world’s tea use. 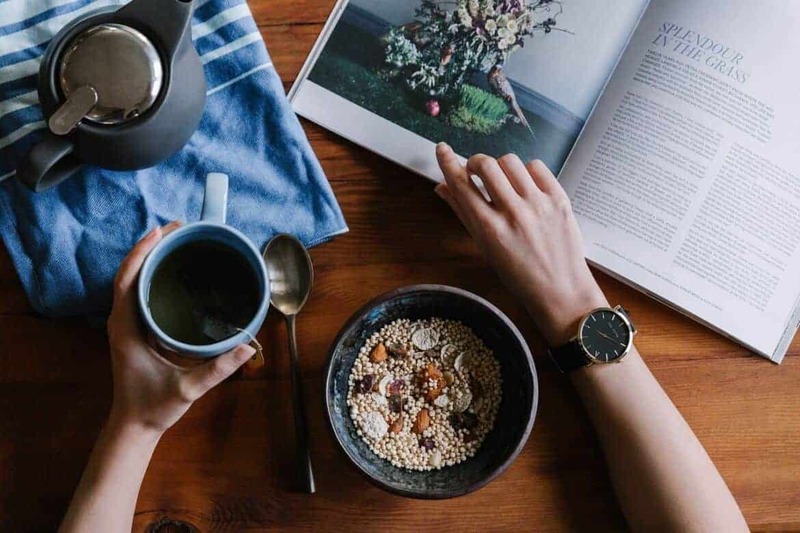 Though drinking all of the different types of tea is considered to be beneficial for your health, it’s green tea that holds the reputation as a super food. 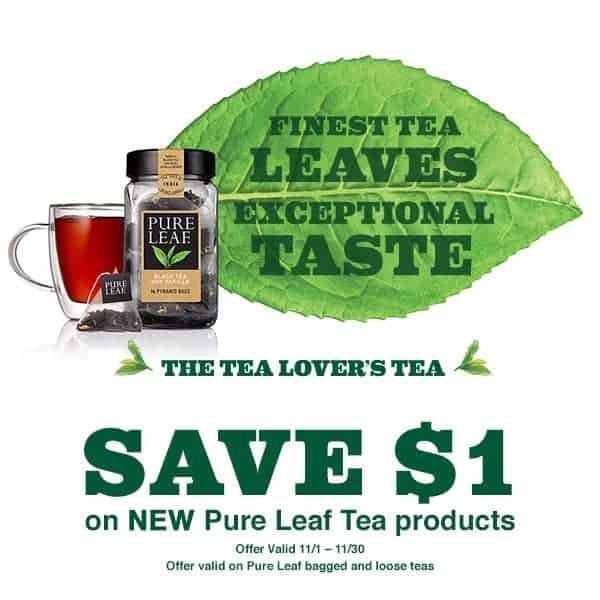 Right now you can save $1 off your purchase of Pure Leaf at VONS/Pavilions, Safeway and Albertson’s. Ooooo so many neat facts!!!! I’m tea obsessed since I’m not a coffee drinker!